Also, in this increasingly evolving field, an important lack of training is to be emphasized, whether in schools and universities but also in industry. 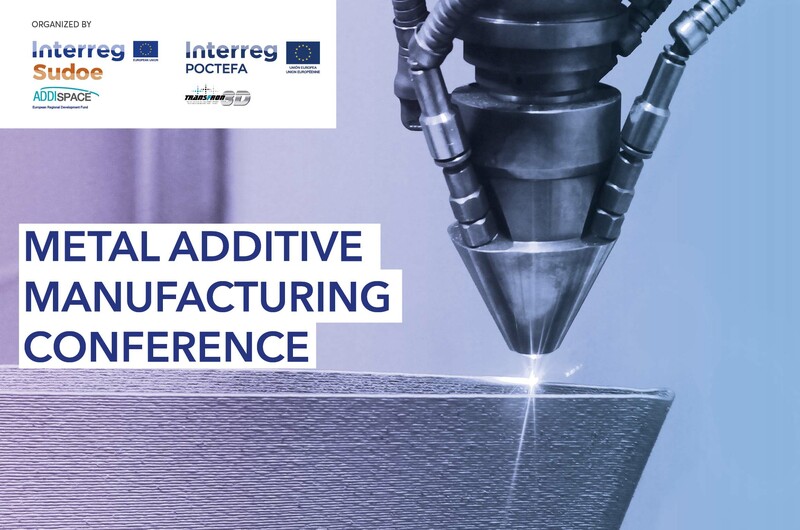 With the aim of sharing knowledge and experiences related to these different needs, the ADDISPACE consortium is organizing a Conference day on 14 March 2019 dedicated to the challenges and opportunities of Metallic Additive Manufacturing. The Conference is organized by ADDISPACE project, co-financed by the European Regional Development Fund (ERDF) in the framework of Interreg SUDOE programme. ADDISPACE aims at the dissemination and transfer of metal additive manufacturing technologies to the aerospace sector in the SUDOE area, comprising Spain, Portugal and the South of France. 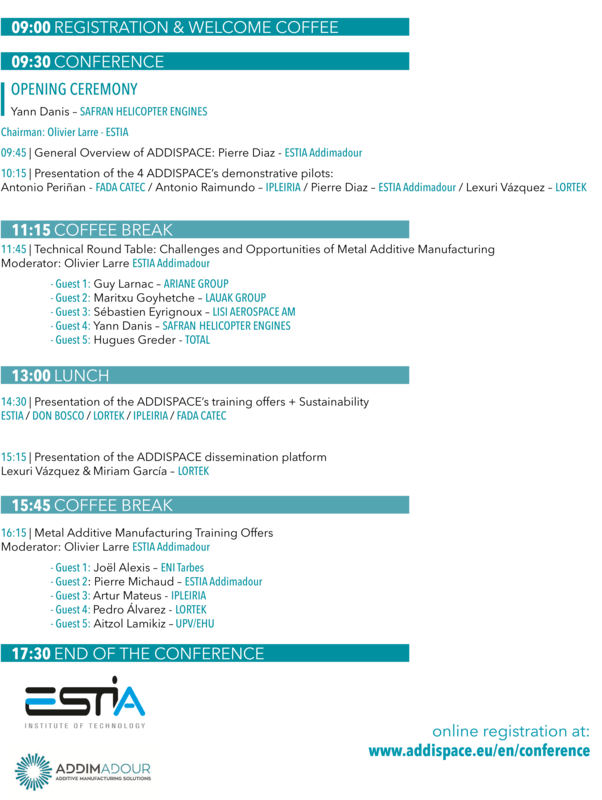 The conference will aim to discuss, through 2 round tables, challenges and opportunities related to MAM and will also address the topics of training in this sector.